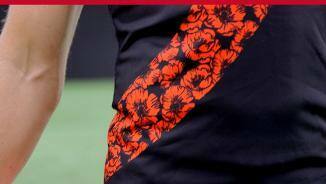 Essendon skipper Dyson Heppell has been nominated for the JLT Mark of the Year for his courageous grab in the final term of the Bombers’ loss to St Kilda. 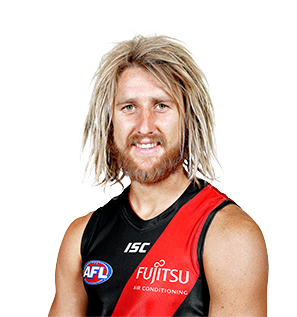 Dyson Heppell says fans should expect a more vicious Essendon outfit in round one as the side looks to recapture its ‘identity’ from the second half of 2018. Captain of the club who led from the front throughout another brilliant year in 2018, finishing second in the Crichton Medal count. Heppell led the side for average disposals, contested possessions, inside 50s and clearances, constantly putting his body on the line and getting the best out of his side. 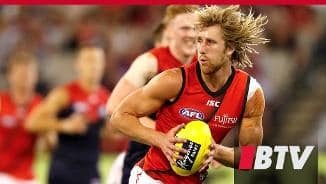 An extremely consistent player, Heppell is never afraid to get down and dirty in the contest and is always there to run and support his teammates. 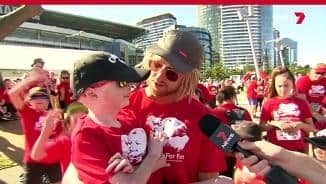 A true leader in every sense of the word, Heppell will be a crucial cog in the side in 2019.